In the course of your work on HVAC systems, you’ll probably need to use an electronic tester, also known as a multimeter. 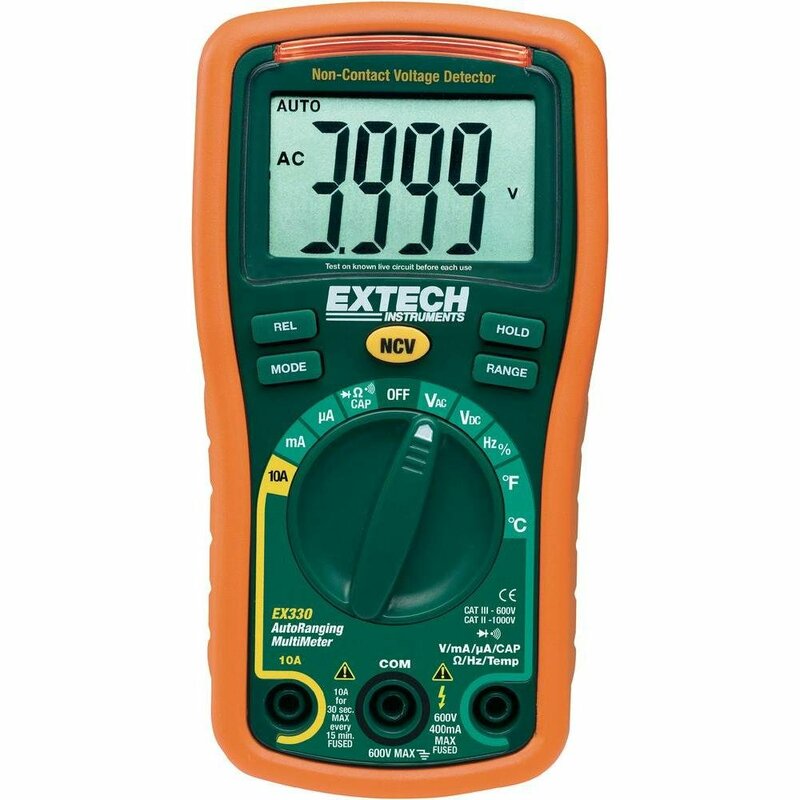 A multimeter is a piece of electronic test equipment which is used to determine whether or not an electronic voltage is there, and is quite an essential tool for working with electronics. It is a safe and accurate way to check for electrical current in electronic gadgets such as lamps and batteries, but can also be used for just about anything that runs on electricity like switches, outlets, and wires. 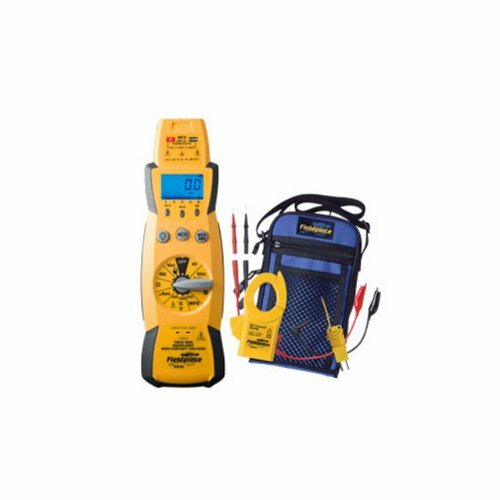 All electricians carry an electronic tester, and a lot of your work in HVAC requires electrical knowledge, so this is an important tool for you. The multimeter is a versatile tool for diagnosing and troubleshooting all kinds of electrical appliances and wiring. You could use your multimeter to test batteries, test a broken extension cord, check household appliances, and check wall switches. It’s also called volt-ohm meter, or VOM for short. The VOM can be a little intimidating to read when you are just starting out, but there are lots of benefits in learning to use the VOM, including the fact that it is a relatively affordable machine with many uses. 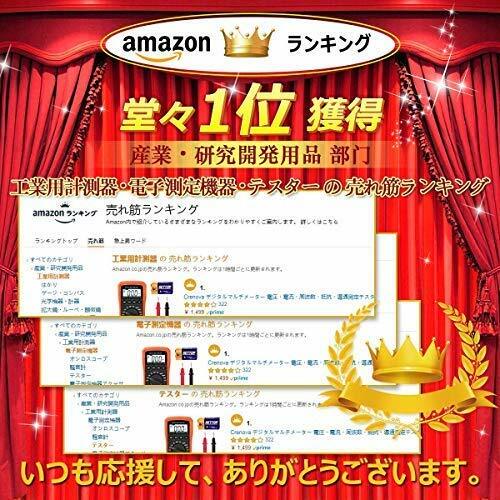 Even so, it is relatively simple to use, as you just need to dial the function and scale, get the two test leads in contact with the appliance or wiring you want to check, and read meters. AC, or Alternating Current: This is the electrical current that changes direction at regular intervals, and is mainly used to power houses and power supplies. DC, or Direct Current: This is the electrical current that only flows in a single direction, and is found in automobiles and household batteries. Resistance: The less resistance electricity has, the easier the electrical current flows through an object, and results in lower reading. Ohm: the unit for measuring resistance. Open circuit: An open circuit means that there is high resistance because there is no complete circuit path. No current is going to flow through. Closed circuit: A closed circuit means there is low resistance because there is a complete circuit path. Continuity testing: A common use for VOM, which determines whether a circuit is closed or open in a device or appliance. Infinity: This appears, as 0.L. on a digital multimeter, and means an open circuit exists. Zero: This appears as 0.00 on a digital multimeter, and means a closed circuit exists. Before we talk about the best multimeters out there, let’s talk about the difference between analog and digital multimeters. Analog variations have a scale and a needle that tells the result, and features manual settings on the function switch. It may be difficult to interpret, as the readings sometimes need to be multiplied by 100 for a final result. Digital multimeters have replaced analog multimeters for the most part, as they are easier to read and use. They not only have LCD screens and do continuity testing, but also feature overload protection and auto-ranging. Your needs will help determine which multimeter is best for you. But to help you make an informed decision, we've reviewed some of the top models. The information we've compiled will help you choose among the many options out there. 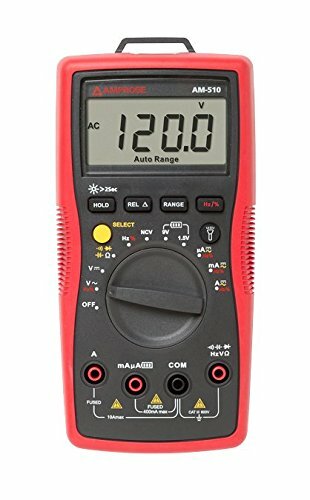 This digital multimeter is designed for light commercial and residential usage, and features an auto or manual-ranging meter for measuring current, voltage, resistance, capacitance, frequency, microamps, and duty cycles in commercial, residential repair and electrical testing applications. It makes a great entry-level option. Among its features are a large and clear LCD display, built-in LED flashlight, and manual backlight, which provides an excellent reading experience. Other positive factors include its ease of use, professional appearance, size and build quality, solid enclosure, and the ability to provide accurate readings. However, there are occasional problems with the multimeter’s unreliable VoltSense feature and slow auto-ranging measurements as well as its loose input terminals and poor NCA feature. 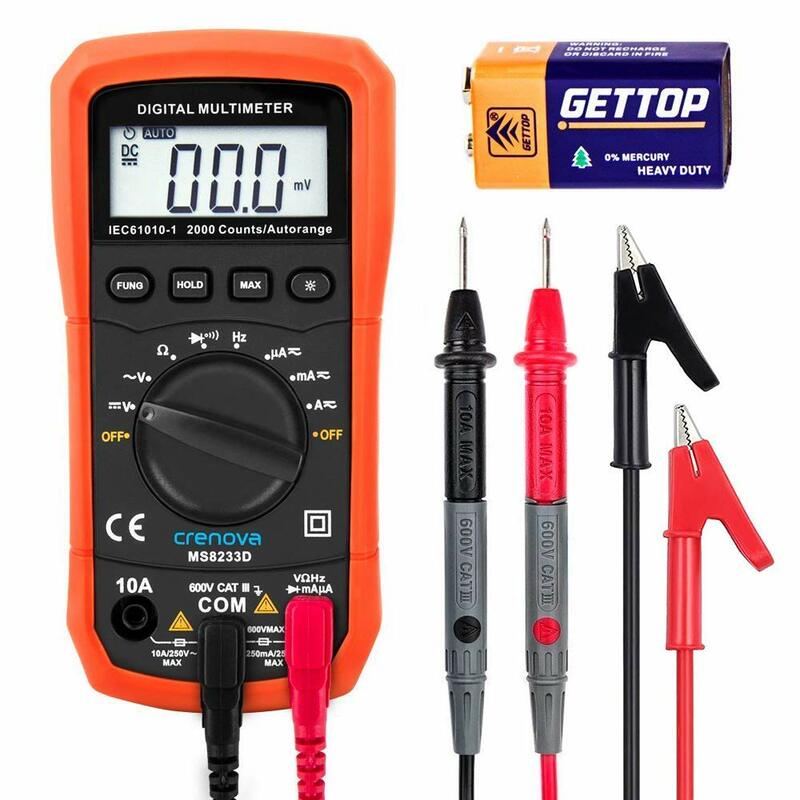 This digital multimeter is meant for everyday use, and features auto-ranging, non-contact voltage indication, high voltage and continuity indicators, and microamps for measuring flame diode current. Other functions include the blue backlight, True RMS, magnetic hangers, detachable silicone test leads, and alligator clip probe tips. Its most noteworthy aspects are this it's ability to cover anything in the field of HVACR and ease of use as well as its price tag. However, there have been reports of issues concerning the accuracy of readings, its lack of ability to display zero, and unreliable receptacle. 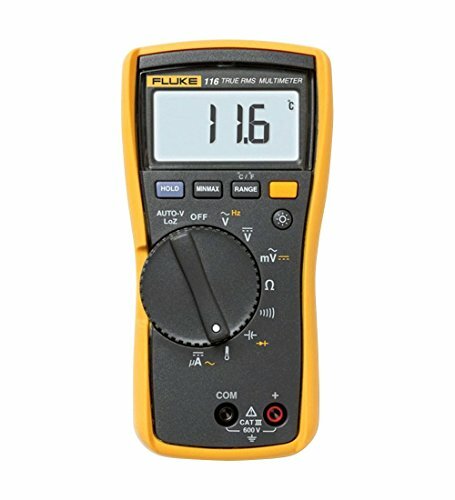 This digital multimeter has a compact design meant for one-handed use, and features micro amp measurements, built-in thermometer, low input impedance. This model also includes functionalities such as large white LED backlight, resistance, continuity, frequency and capacitance, and optional TPAK magnetic hanger. This seems to be an excellent device for the price, and definitely meets the needs of HVAC professionals. It’s light yet comes with features such as micro amps, capacitance test and the ability to automatically distinguish between AC and DC. Some of the drawbacks are reports of unreliable temperature calibration, ruggedness, and LCD contrast. This digital multimeter is a best seller, and features backlit LCD that meets IEC61010-1 & CAT II 600V over voltage category. It also comes with overload protection and auto power off, making it one of the most convenient multimeters in the market. It definitely exhibits great value and performance. It’s highly functional and sensitive and easy to use. Drawbacks have been that its construction isn’t the most sturdy, it occasionally gives unstable readings; the test leads are not the best, and the company’s customer service isn’t always stellar. This model features built-in non-contact voltage detector, auto-ranging, capacitance, relative function, and data hold. It definitely has pros and cons.It has a great price, high functionality, and is easy to use. However, its poor build quality, lack of or parts, unreliability of readings, and customer service of the company all work against it. This model is able to provide decent results in most cases, but sometimes the model fails to come with all the necessary parts or instructions, resulting in a less- than-fantastic experience. An electric tester, or a multimeter, is a versatile tool for troubleshooting any kind of issue related to electricity. It’s a must-have for an electrician or an HVAC professional, and requires minimal training to use. If you are looking into getting your own multimeter, we hope this article has been helpful in finding the best option for your purpose. Please remember to always take safety measures and precautions no matter which one you choose.